Getting the right balance of nutrients is vital for optimal health, achieving weight loss, and treating many health conditions. However, what each person needs to achieve health through nutrition can depend on their specific health concerns. Dr. Charles Arndt and Dr. Debarun Borthakur are specialists that understand the importance of nutrition in treating their patients. 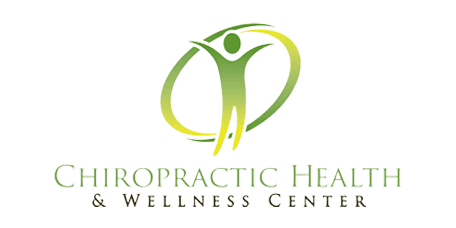 They offer a nutritional health improvement program at Chiropractic Health and Wellness Center in Sterling, Virginia. Having a well-nourished body is key to good health. Chiropractic care is by nature holistic, meaning it focuses on the overall health of the body, not just treating a particular symptom. So whether you’re recovering from an automobile accident or trying to manage a health condition like scoliosis, nutrition plays a role in successfully treating your condition. At Chiropractic Health and Wellness Center, your practitioner wants to help you achieve the best overall health. Nutrition can help you heal faster and can address underlying causes of pain, weight gain, and other factors that impact your health. They offer Nutrition Response Testing™ and Body Composition Analysis to help improve your health and treat illnesses that can affect your quality of life. Many health conditions can be treated with good nutrition. However, first, you need to know what’s going on in the body and what nutrients it needs. Nutrition Response Testing, (NRT) is a noninvasive technique that helps determine nutritional deficiencies affecting your body and causing ill health. There are no needles or invasive procedures needed for this analysis. Chiropractic Health and Wellness Center offers NRT, which is an accurate, scientific method of determining health conditions caused by nutritional issues. The results can help your practitioner prescribe the best nutritional program to help improve your health. Is just eating healthy good enough? Eating a healthy diet is important, but many people require more nutrients than they’re getting from their foods. If you’re healing from an injury or have a health condition that’s depleting vitamins, minerals, and other nutrients, you may need a specialized diet and supplements tailored to your body’s specific needs. A Body Composition Analysis can help determine your health status by measuring your body fat, visceral fat, lean body mass and hydration level. Whether you have a nutrient deficiency that's harming your health, or you need supplementation to achieve better health, your specialist at Chiropractic Health and Wellness Center can assess your nutritional needs and offer a program to enhance your health.